Charles Dennie Malone was known to us all as Pete. He passed away January 15, 2019, after complications following a fractured hip. He also suffered the effects of dementia. Pete was born in Paris, Illinois in 1921. His parents were Charles Franklin and Lottie Belle Malone. As the oldest of five children, he left home as a teenager to serve in the CC Civilian Conservation Corps. It was the Depression and he sent home the money he made to help with the family. 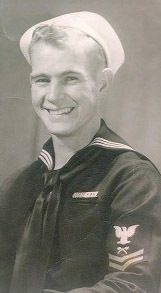 He went on to serve in the Navy during World War II with Halsey’s Fleet from New Zealand through the Solomon Islands and New Guinea. He met and married Rosalie Mitchell in 1944 and they celebrated their 60th wedding anniversary before her death in 2004. Together they raised six children. Pete worked at Ethyl Visqueen in Terre Haute and he also farmed. He valued hard work and he valued helping others whenever he could. When it snowed he would take his tractor to plow the roads so the school busses could travel safely. He continued to split his own wood well into his 80s. When he no longer worked at Visqueen, he used his talents as a craftsman to create beautiful pieces of furniture for his family and for many others. Pete was a strong and vibrant man who lived a long life and was the last in his family to pass away. He is predeceased by his wife Rosalie Mitchell Malone, his parents Charles Franklin and Lottie Belle Malone, his brother Elmer Malone, sisters Mabel Benjamin, Patricia Worrell, and Jaqueline Bovenschen. He enjoyed playing the guitar and challenging all comers to a game of pool. He also loved to play and watch golf. He was a proud member of the VFW and the American Legion. He is survived by a large and loving family of six children, Dennie Malone and his wife Pegg of Plymouth, Massachusetts, Maureen Friday of Clearwater Beach Florida, John Malone of Matthews, North Carolina, Shannon Malone of Columbus, Indiana, Kimberly Cates and her husband Bud of Dennison, Illinois and Lori Shipley and her husband John of Brentwood, Tennessee. He is also survived by 13 grandchildren and ten great grandchildren. The family wishes to recognize the special care given to Dad by the memory care unit at Southwood Healthcare Center, Union Hospital 3rd floor health care employees, Southern Care Hospice, Hospice of the Wabash Valley, and the Gibson Family Center for Hospice Care. Their compassion and care was heartfelt and sincere. Cremation was chosen. 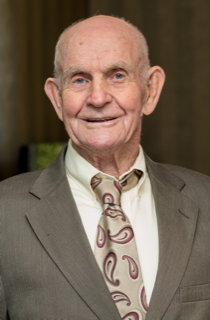 Visitation will take place at Fitzpatrick Funeral Home, 220 North 3rd St., West Terre Haute, IN on Thursday, January 17,2019 from 4:00 – 6:45 PM and a short memorial service will follow at 6:45 PM at the funeral home, with Pastor Joe Irwin officiating. Private graveside services will take place at a later date. In lieu of flowers, donations may be made in Pete’s name to Hospice of the Wabash Valley.